A marathon session in Parliament ended with both the Quota Bill and the Citizenship Amendment Bill passing the Lok Sabha test. 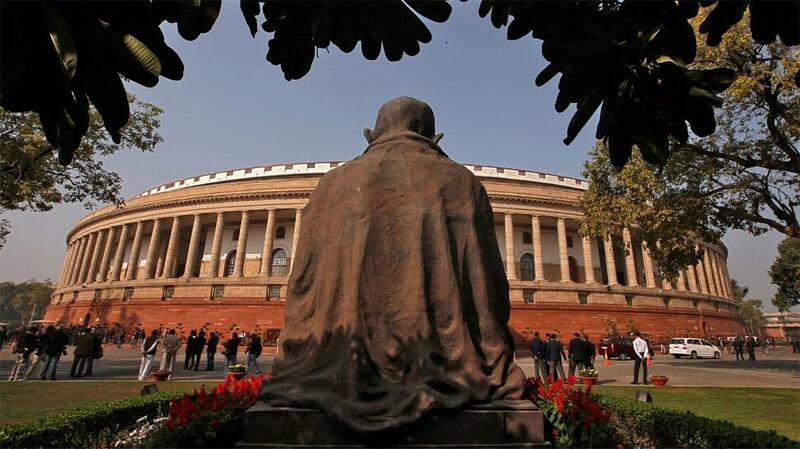 NEW DELHI: Tuesday was a charged-up day in Parliament with the Quota Bill and the Citizenship (Amendment) Bill emerging as the two main issues between the government and opposition parties. With proceedings going well into the night, both bills were passed by Lok Sabha despite some opposition parties expressing their reservations. The government put up a brave front and explained the need and justification for the bills with determination. Earlier on Tuesday, opposition MPs had protested against the controversial Citizenship (Amendment) Bill, 2016 that aims to give citizenship to illegal migrants of six religious minority groups from Bangladesh, Pakistan and Afghanistan. While the Congress MPs staged a walkout, the Trinamool Congress said the bill is highly divisive and lead to violence. The bill was eventually passed. The Quota Bill was introduced by BJP's Thawar Chand Gehlot and AIADMK expressed its reservation. Its MP walked out before voting began. The BJP has earlier issued a whip to its MPs, asking them to be present in Parliament on Tuesday as it seeks to push for the passage of a bill providing 10 percent reservation in jobs and educational institutions for economically weaker sections in the general category. The Congress had on Saturday issued a whip to its MPs, asking them to be present in Parliament on Monday and Tuesday. Winter Session of Parliament adjourned sine die. Thank you for staying with Zeenews.com for the latest developments from Parliament. The Constitution (One Hundred and Twenty-Fourth Amendment) Bill, 2019 passed after a division with 323 members voting in its favour and three against. Big cheer among BJP parliamentarians as quota bill is passed. Some raise 'Bharat Mata ki Jai' chants. Big breaking: Quota bill passed in Lok Sabha. Now for the big test in Rajya Sabha - scheduled for Wednesday. AIADMK MP Thambidurai walks out as Lok Sabha votes on quota bill. Lok Sabha now voting on the quota bill. PM Modi arrives in Parliament. RSLP's Upendra Kushwaha, who recently parted ways from the NDA government, says while he won't be blamed by members of upper caste for not getting any reservation in jobs, they will continue to question the government over jobs. "I am happy that reservation for poor upper caste in jobs is being considered but where are the jobs? Reservation alone cannot guarantee economic stability." "I thank you for considering 10% reservation in educational institutes but will children go to schools where teachers themselves cannot count to 100?" AAP's Bhagwant Mann accuses BJP of looking at ending reservations. "They said in Bihar that reservation must be brought to an end. Now, they are introducing another form of reservation." TMC questions intent of quota bill. "Why does the government not take up the women reservation bill with the same priority as this quota bill? This bill is not only about jobs, but also about misleading the youth with false hopes and fake dreams," says Sudip Bandyopadhyay. "Congress manifestos say the party wants to remove poverty. This bill is a test for the party on whether upliftment of poor will remain in their manifestos only or can concrete action be taken," says Jaitley. "50% rule (for reservation) is only applicable for socially backward classes," says Jaitley. Arun Jaitley extends his support for quota bill. "This bill is applicable to all educational institutes and public employment as well. It is aimed at equality for all." Congress wants quota bill to be sent to JPC. "We support this quota bill, we are not against this, but the way it is being brought raises questions on your sincerity," says KV Thomas. Thawar Chand Gehlot defends 10% reservation for poor upper caste members. "This government believes in the welfare of all. This bill will benefit the poor and will be applied to people of all religions." Debate on quota bill begins in Parliament. Citizenship Amendment Bill 2019 has been passed in Lok Sabha. "Muslims are not included among the six religions mentioned in the bill. Make it secular. Anyone who comes out of religious persecution should be included if they seek asylum in India," TMC leader Saugata Roy earlier said, urging the Speaker to intervene. After Congress, TMC also staged a walkout from Lok Sabha, calling the bill highly divisive. TMC MP Swagatha Rai opposes bill, says it is divisive. Congress MPs stage walkout as the debate on Citizenship bill begins in Lok Sabha. Congress walks out of Lok Sabha during debate over the Citizenship Amendment Bill, 2016. Debate on Citizenship (Amendment) Bill begins in Lok Sabha. Here is the video of TMC MPs protesting against the controversial Citizenship Amendment Bill, 2016 in the Parliament premises. All India Trinamool Congress (TMC) MPs protest against the Citizenship Amendment Bill, 2016 in the Parliament premises. All India United Democratic Front (AIUDF) chief Badruddin Ajmal and All India Trinamool Congress (TMC) MPs protest against the Citizenship Amendment Bill, 2016 in the Parliament premises.